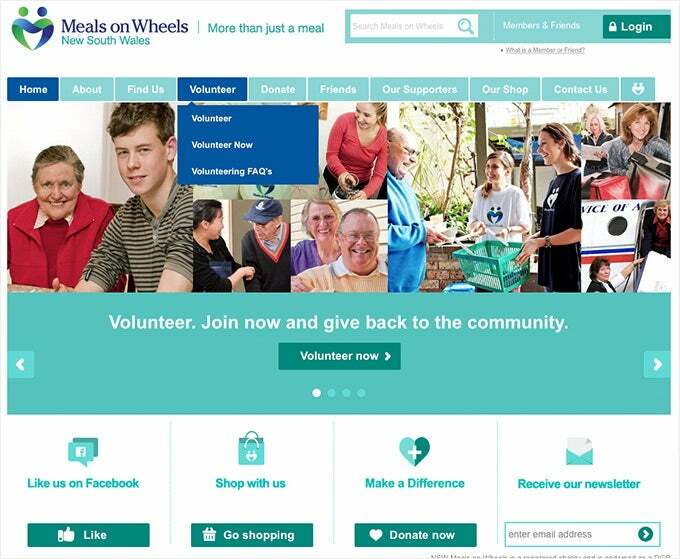 We created new website's for Meals on Wheels NSW and Australia, a charitable organisation that provides home delivery services for people who are mobility challenged or unable to buy and prepare their own meals. 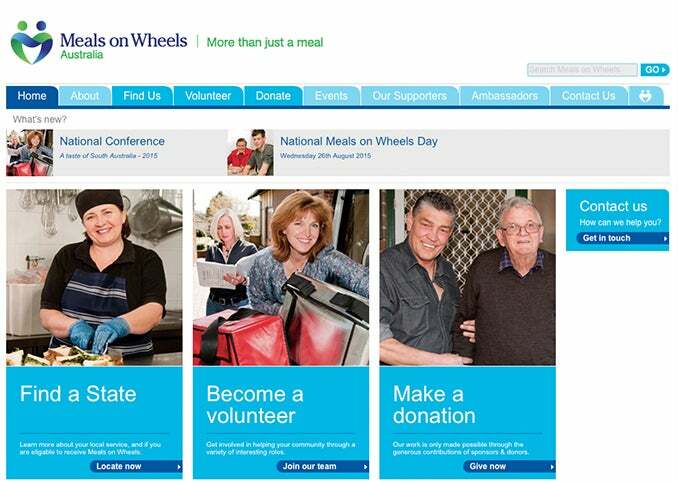 In 2010, media agency, Hulsbosch, contacted us on behalf of Meals on Wheels NSW. The charity were looking for a new website that could help them promote their valuable services, and enable them to seek donations. Working closely with Hulsbosch, we created a new website that is simple, straightforward and easy to use. To give Meals on Wheels the ability to update their own content, we also integrated the Kentico CMS. The new site features information on Meals on Wheels' services, donation information, and contact forms for people who wish to get involved.